On August 26 and 27, 2017, the Mount Independence State Historic Site in Orwell, Vermont, hosts the annual “Soldiers Atop the Mount” living history weekend—honoring the 240th anniversary of American, British, and German occupation and the 1777 Northern Campaign of the American Revolution. 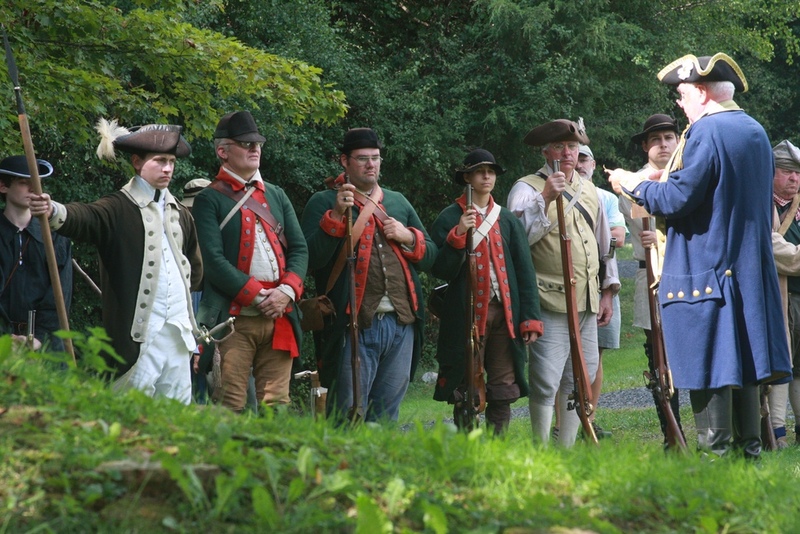 Reenactors and the site offer special interactive activities to engage visitors of all ages and bring to life the historic ground of Mount Independence. On Saturday, the popular Baldwin Trail walkabout is back. From 11:30 am to 2:00 pm visitors walk along the trail to meet reenactors and other experts who discuss such topics as Revolutionary medicine, gunsmithing, the military road and supplies, the Mount’s role in preparing Arnold’s fleet on the lake, garrison strength, and more. Get your card stamped and win a small token if you visit all the stations. The soldier’s camp opens at 10:00 am, closing on Sunday at 2:00 pm. 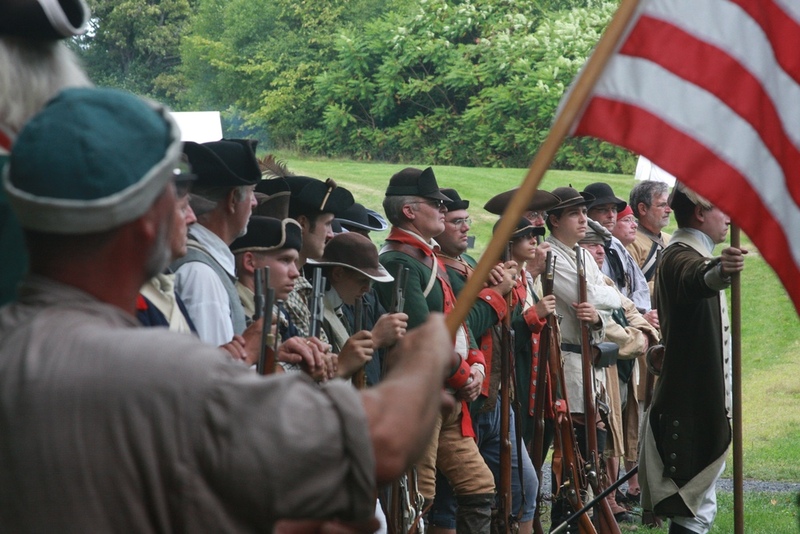 Reenactors demonstrate military tacticals, camp life, and colonial skills and crafts. Special hands-on children’s activities are available both days. The “Strong Ground 5K Walk” on the site’s trail system is back for the second year on Saturday, and benefits Mount Independence Coalition education and special programs. Registration starts at 10:00 a.m. The $20 fee (cash or check payable to Mount Independence Coalition) includes a t-shirt, admission to Soldiers Atop the Mount, and a simple lunch (available for everyone) in the picnic area. Call 802-948-2000 to pre-register. On Sunday at 12:30 pm is the annual reading of the Declaration of Independence, for which the Mount is named. Reenactors then will lead visitors up the hill for a special tactical. Members of Warner’s Regiment will demonstrate a changing of the guard and more in the Southern Battery (call for time). Site interpreter and historian Paul Andriscin offers an illustrated lecture on “Reasons for Revolution” on Saturdayand “The Northern Campaign” on Sunday, both at 3:30 pm. Event admission is $6.00 for adults and free for children under 15, and includes the museum. Call 802-948-2000 for details. Beverages and light snacks are available for purchase in the museum shop.